My name is Gill Morgan-Shelbourne and I am a professionally qualified and British Association for Counselling and Psychotherapy accredited counsellor/psychotherapist based in Cambridge. I specialise in the treatment of stress, anxiety and OCD, depression and a low sense of self-worth. My experience has taught me that these emotional states usually benefit from an approach based on Cognitive Behavioural Therapy which is tailored to the individual. However, I am happy to draw on other approaches to suit you and I am not limited to the above areas. » I am also qualified in Human Resource Management which is a useful discipline for work related problems. 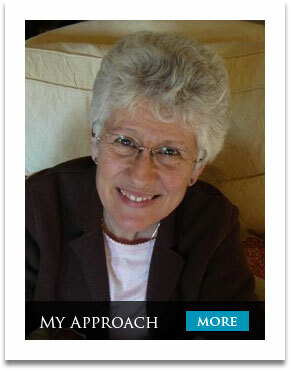 » I have worked for 11 years in management education and latterly for 16 years as a counsellor/psychotherapist. » My office is on the ground floor among a group of dedicated counselling rooms in West Cambridge. » I charge ÃÂ£50 for an hourly session. » I work with individuals.